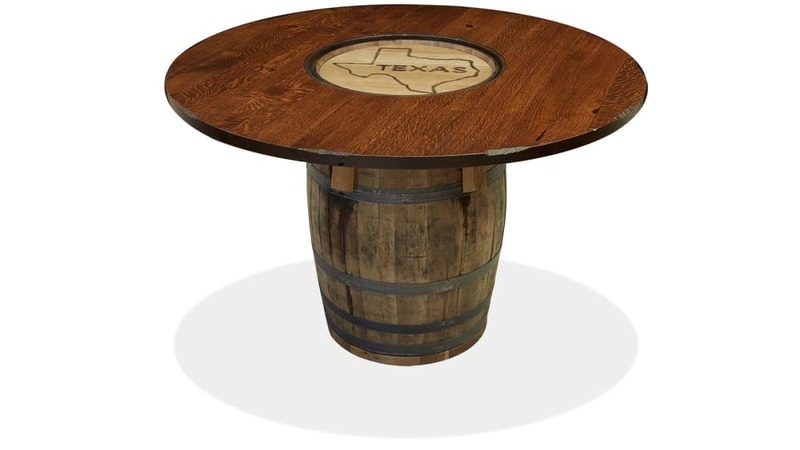 The Texas Whiskey Barrel Table will bring the spirit of the old west into your home. Amish craftsmen built these unique tables with authentic whisky barrels that have done their duty, repurposing them as amazing tributes to American history. 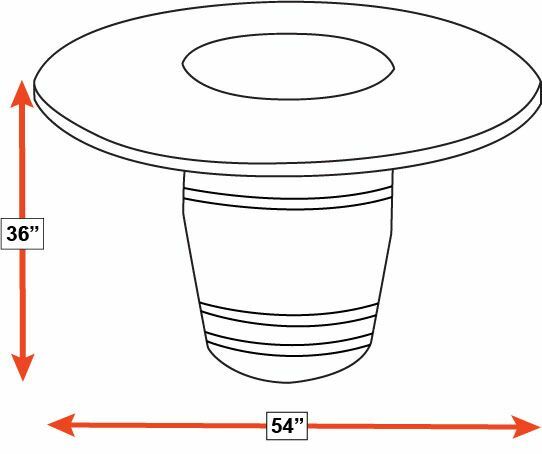 Don't wait -- get this one-of-a-kind table into your home TODAY! Built from American white oak that has been fire-charred inside. The authentic whisky barrel gives this table its unique character. 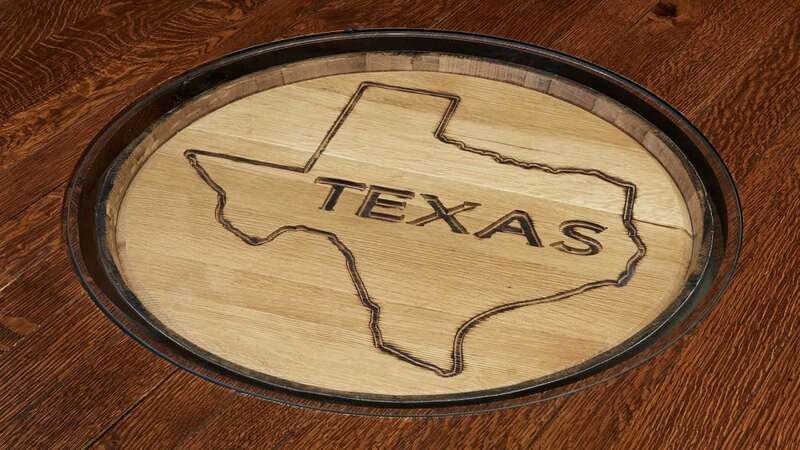 A 54-inch top, crafted out of solid, quartersawn white oak, contains a glass insert with the Texas brand. The dark golden brown stain allows the natural and alluring wood grain to glow.